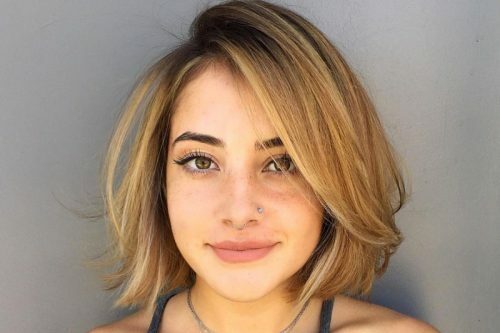 These short haircuts for girls are some of the cutest ones I’ve found this year! 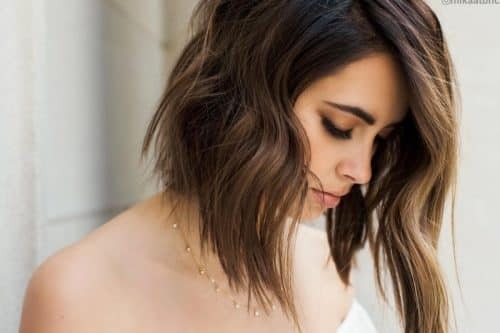 Going with a shorter length is the go-to style for most girls, so they can avoid tangles and skin irritations and keep their hair away from their faces and bodies, making their movements easier and the maintenance less. On those busy mornings during school days, you’ll want a hairstyle that is easy to wash, style, and manage. It doesn’t matter what type of hair your princess has! 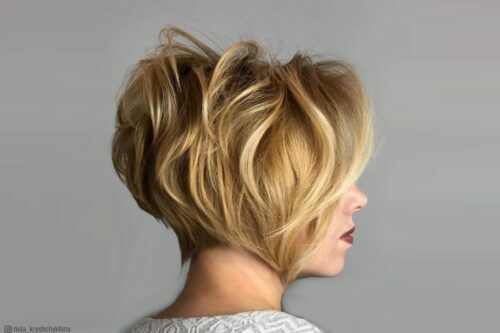 Whether it’s super straight, curly, or wavy – you’ll find a suitable short haircut for it. 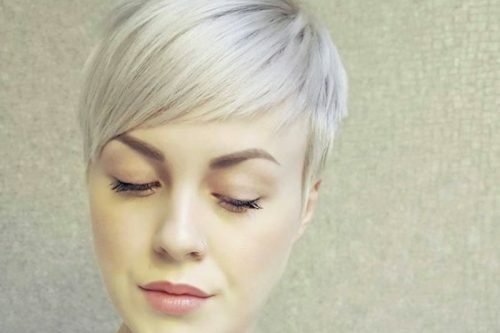 Opting for shorter locks does not mean your styling will be limited. 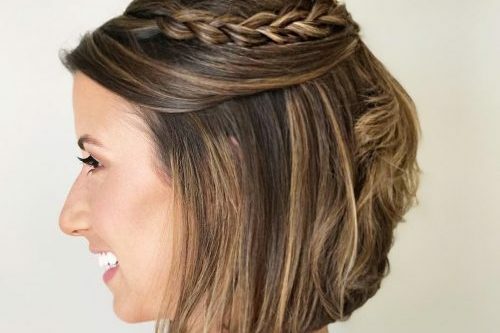 Small braids, a side ponytail, and pigtails are just a few examples of easy styles you can quickly create. 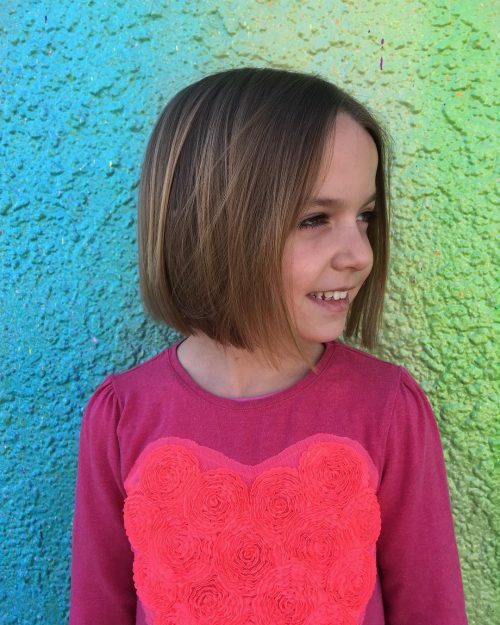 Find some inspiration in this gallery below for your little girl’s next short haircut. Enjoy these style ideas! 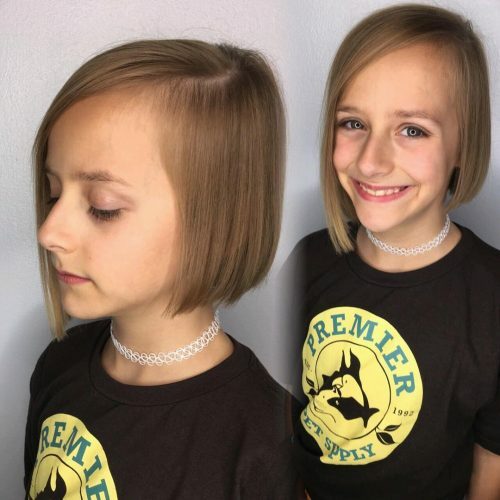 Stylist Haley did these natural sun-kissed highlights and a blunt bob for this precious red headed princess! A sleeker and smoother cut for cute girls is this natural-looking hairstyle that makes managing the hair easier. A straight cut like this also looks pretty with short bangs to complete the look! 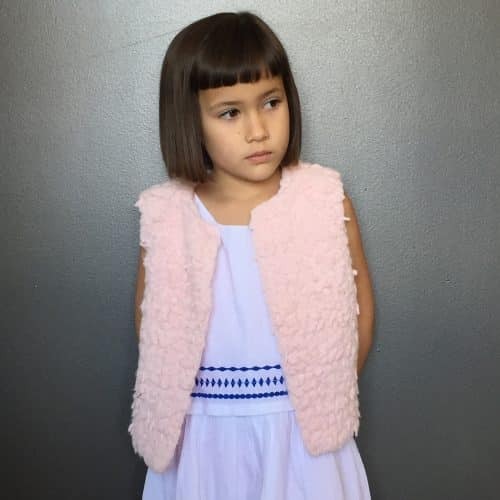 This super natural rounded bob looks so adorable on any textured hair, even straight ones! Leave some pieces of locks above the face for a cute finish. 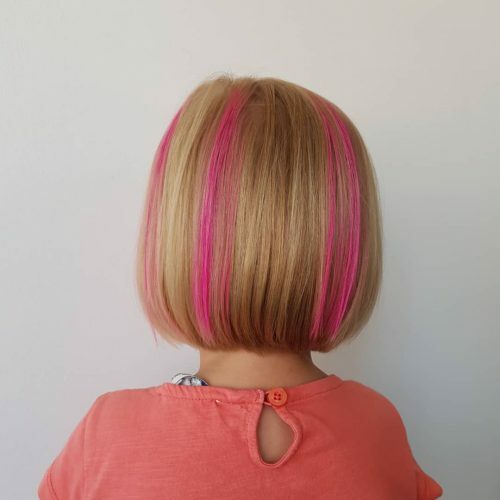 Feel free to be playful with funky strips of your little girl’s favorite color on a classic bob to add some personal touch to this trend. Youth doesn’t last long, so be sure to have the most fun with it! 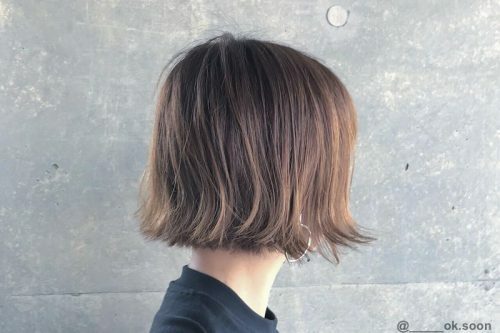 Girl haircuts like this one can make a younger girl look older. A touch of asymmetry on any haircut always creates an interesting appearance. 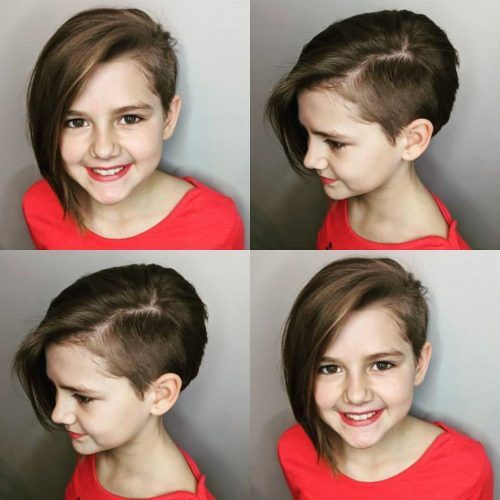 This is one way to style this classic cut for little ladies. 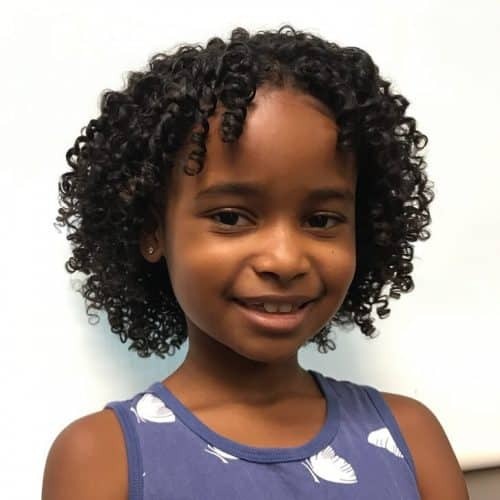 This super adorable hairstyle proves that the ever classic bobcut goes well with any hair texture. Keep the curls in one side for a stylish finish. 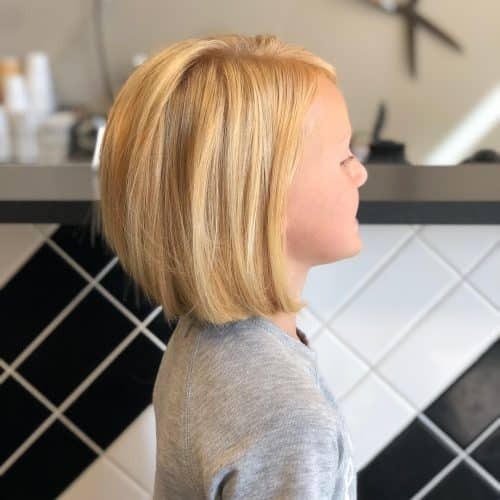 This dashing blonde bob cut can be worn all year long and is most likely the best choice for young girls, as it’s easy to maintain and manage. 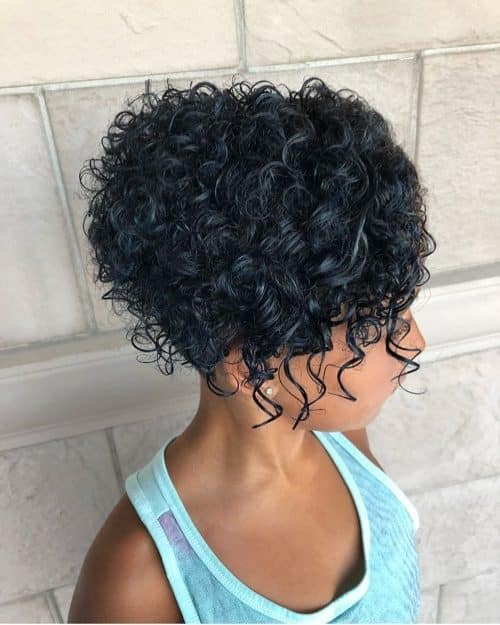 A simple yet stylish haircut, cute haircuts like this one look great on naturally straight hair as well as textured ones. The side-swept fringe also makes it even better, just make sure to maintain its length and keep it above the eyes. The blunt cut never goes out of style for young ladies who want to have a classic look with an easy maintenance. No need to worry about the hair texture and face shape, as it complements almost every type. This one is a very cool option for young rockers who wanna express their creativity. Having an undercut lets you play with your imagination and flaunt your personality confidently. 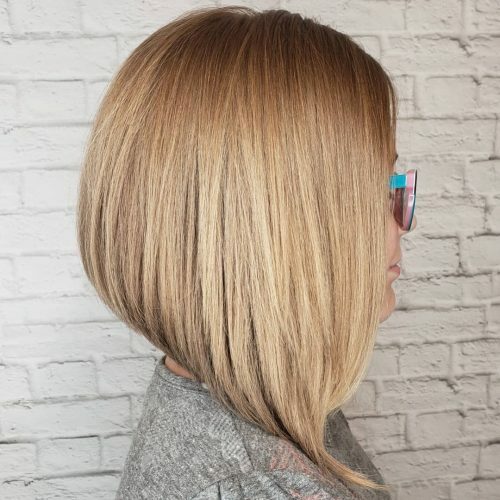 This cut is an asymmetrical bob. The cutest thing about this look is it’s classic and easy to maintain, yet still looks unique! This look is perfect for several reasons. A clean line gives fine hair a fuller, thicker appearance. Since it’s asymmetrical, it’s a unique look usually appealing to someone who is more adventurous in personality. This look is easy to maintain and can be worn straight or curled! The shorter side can be tucked behind the ear for a different style. Very versatile. For this look, I used KMS Playable Texture. It gives the hair the right about of volume without having the feeling of too much product in the hair. With this cut, you have to be committed to keeping up with the clipped side of the head. 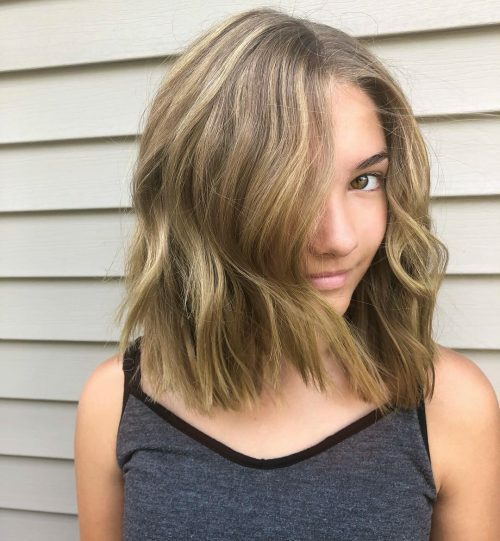 This cut is very face framing and really complements Ava. Anyone who loves short hair I would highly suggest it! Bed hair, short hair, don’t care! No sweat styling with a mid-length cut tapered at the ends. This is a very edgy look, not for the faint of heart. The undercut is clean and precise and then the longer length is like shattered glass. It’s like controlled chaos! I love it! I had a blast creating this. 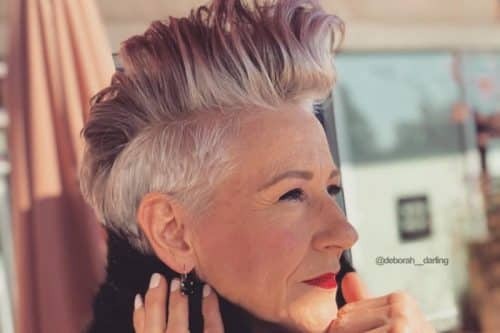 Undercuts are a great way for anyone – young or mature – to experiment with their hair. When deciding on the color, I knew I wanted something that would complement the piecyness of the cut but still allow for the creative color. For this, I chose a rainbow succulent. Most face shapes can rock this look. Straight to loose wavy hair textures will work best. To style: Prep with a light volumizer and blow-dry in the direction of the hair using your hands. Once dried, use a texturizer-like a fiber paste or other web/taffy like paste – piece, lift, separate strands, and show off the texture. 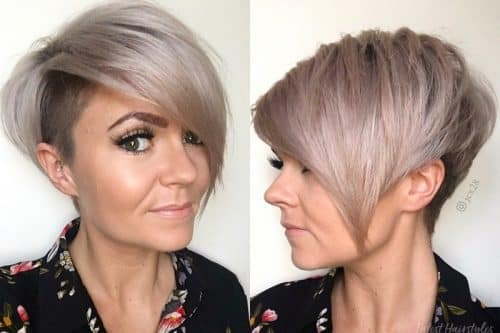 Short hair is more maintenance as it needs to be styled daily. Undercuts need to be maintained monthly to stay looking sharp. This look can be worn whether you’re young or mature. It’s really all about having the confidence to rock it! 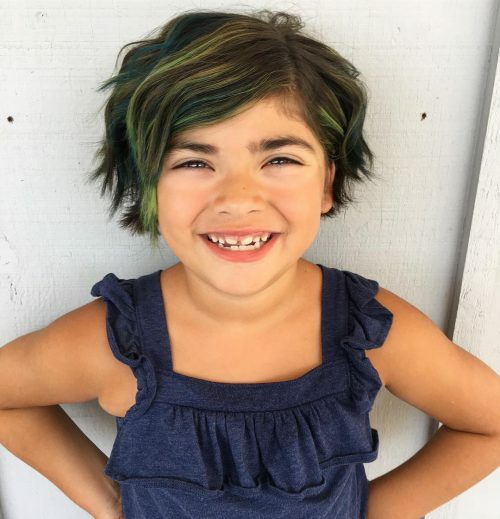 These are funky pops of neon green and blue highlights paired with a fun short bob. This look is on my daughter, and we were inspired by her swim teams colors. 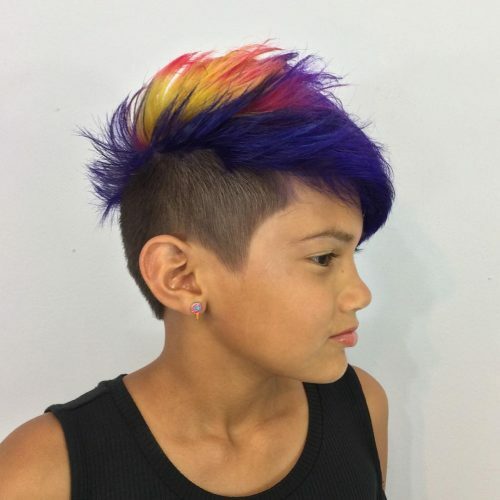 I love the movement in the hair and the pops of bright color. Fashion color in the form of highlights is a great way to introduce fun colors without fully committing! Find lots of inspiration photos and bring them along. Your stylist will be able to custom mix any fun color you’d like, but pictures are the best way to communicate fun colors. The haircut is the product of growing out a short pixie. In the in-between stages – keep your nape tidy and add some texture to allow easier styling and less mullet. The style was achieved with a 1″ flat iron. Smooth over the hair lightly, then on the second pass, slightly bend the iron at the mid shaft and pull through. Let sit and run your fingers through at the end. This will create a tousled look. Finish with a light hairspray or texture spray (works great on fiber hair!). 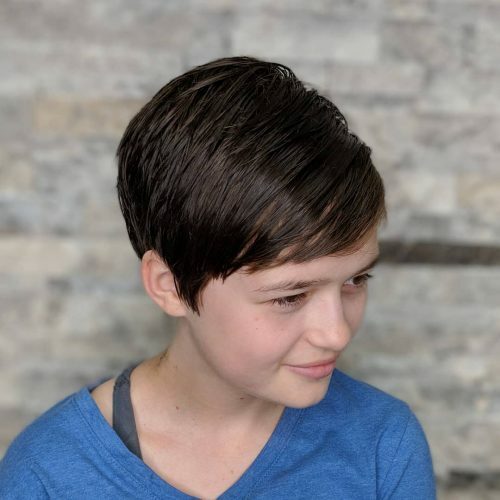 This particular cut I call the “sporty spice.” She is an active sports player who needs short hair but was looking for a fun cut. I went with a blunt lob around the face with texturized ends and long layers in the back to give it a little bit more volume. 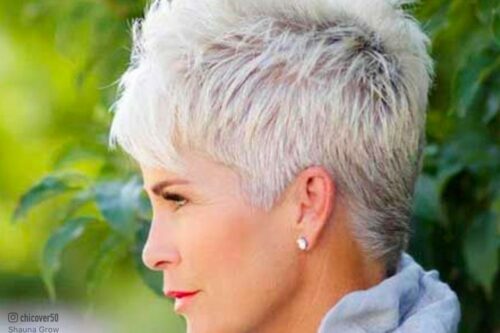 This cut is perfect for an active lifestyle. You can pull the front half updo a topknot. If you’re looking for a more polished look you can throw some beach waves in it, or it also looks awesome for just a get-up-and-go style. 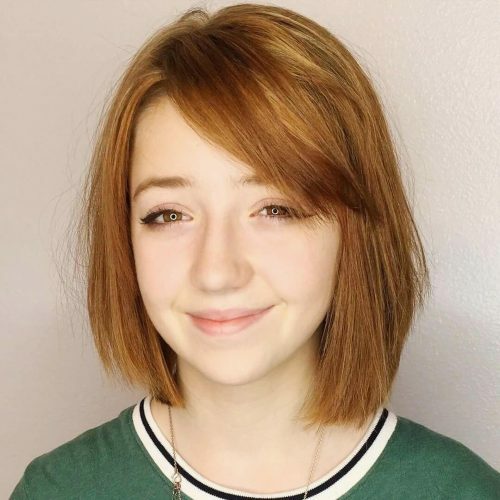 For those seeking a shorter cut, I would say it’s a perfect go-to. If you’re someone who has long hair and just throws it up in a ponytail every day, it’s great for a change of look. 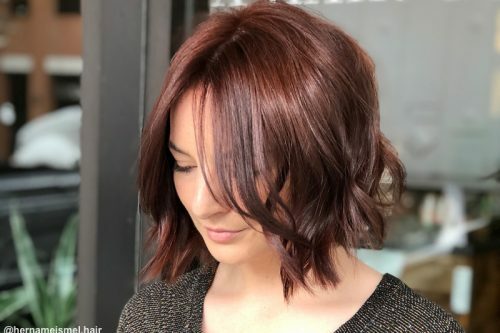 When you get a really nice cut bob or lob, the cut itself is the style. You’ll find yourself wearing it down more. 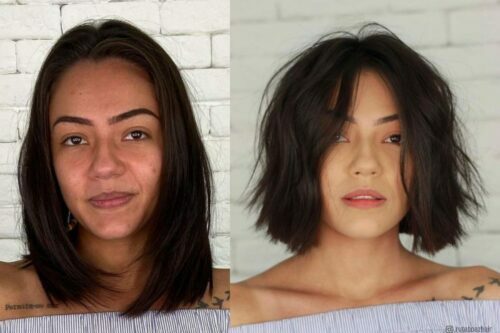 Depending on the shape of the face is where you would determine if you want to do a bob or a super short cut. I always remind my clients that they can customize the cut, add a fun flirty face-framing piece, or keep it blunt by texturizing the ends. There is no rules and we can get as creative as we want with it. 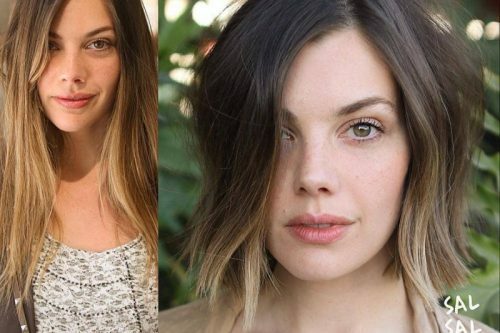 This long-layered lob is short, sweet, youthful, and refreshed! The best thing about this look is that it accentuates the face shape and is low maintenance for younger girls. 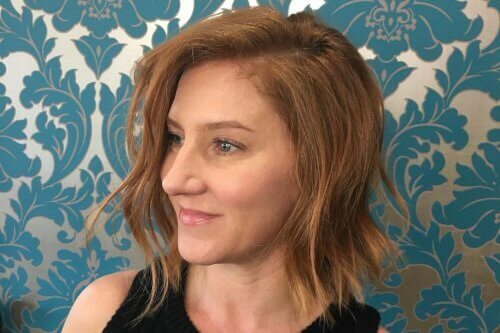 My client had very long hair past her lower back, and giving her that healthy chop really brightened up her face but also offered a comforting point that’s not too drastic and short for her. Keep in mind of the hair density and hair type. For example, my client had very thick hair, therefore adding the long layers helped balanced the weight throughout, rather than having it really heavy at the length. Also, considering hair type can affect the outcome of the hair. Just keep in mind, that this kind of look may not look the same for everybody. 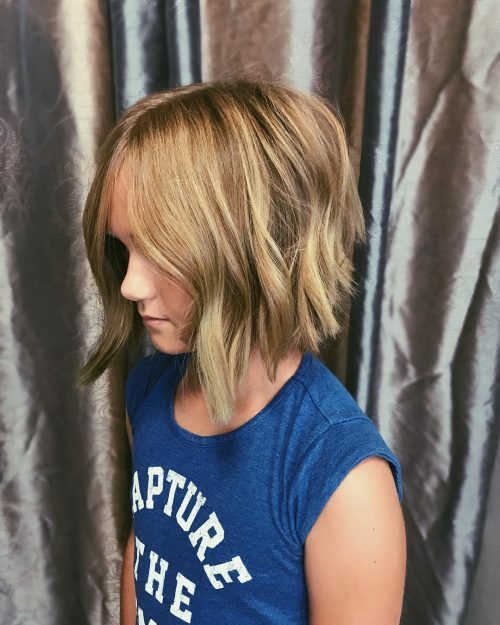 This as a kid’s short layered bob. It has long layers and is cut purposely to curl under. 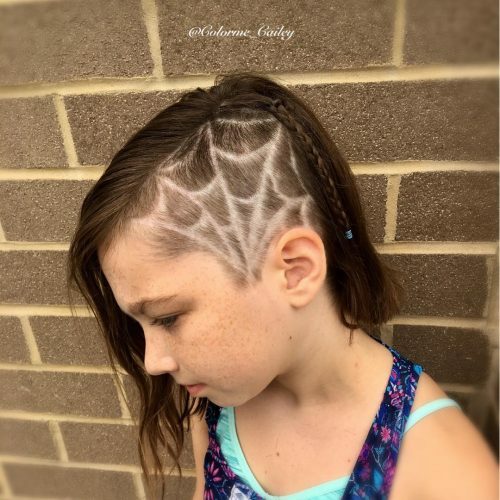 The best thing about this type of cut on a young girl is that it works great on thin or thick hair. Also, most people don’t realize that in order to grow out baby hair, you have to keep it trimmed. 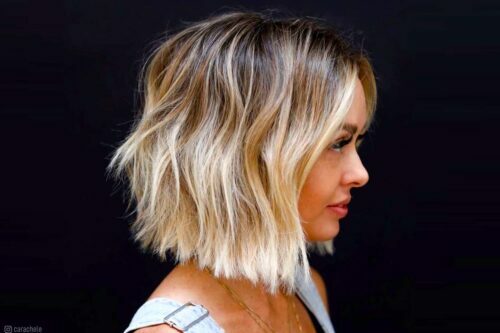 So, if it is long and scraggly, a short bob usually helps it to appear thicker and grow more evenly. 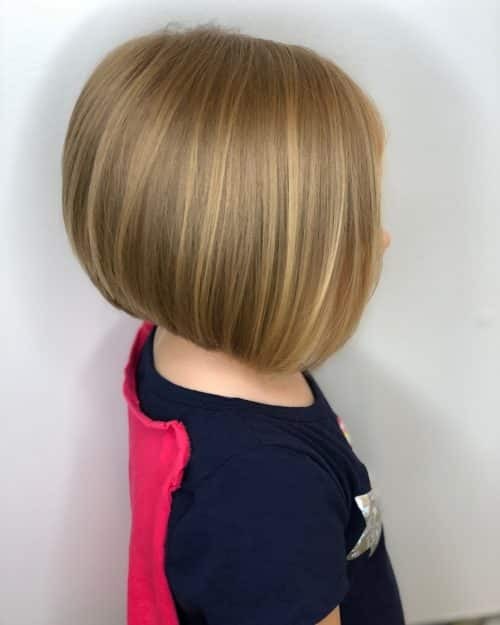 I personally think all little girls look adorable with a cute little bob while they are young. 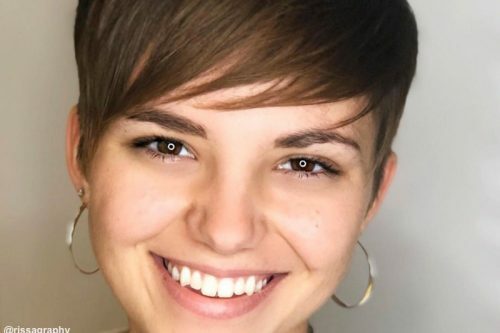 It is the one time we can get away with different haircuts, unlike as an adult when we have to play off of face shape and so on. While styling this layered bob, I only used a blow dryer and brush. Starting from the back if you brush upwards and blow dry downwards, it forces the hair to turn under as it dries. The same concept continued around the head. 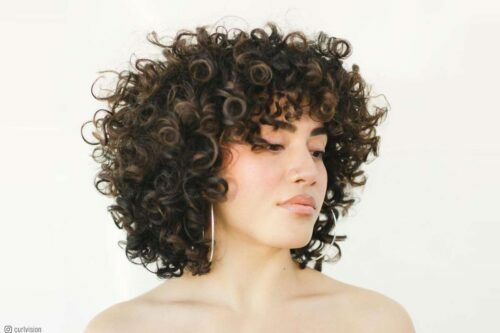 Her hair is pretty straight, but if they have wavy or curly hair, this technique will take a lot of stress, time, and effort out of the smoothing process once it’s dry. Overall, it’s a very cute low at-home maintenance haircut. The only downfall is that short hair must be cut sooner since it loses its shape faster.